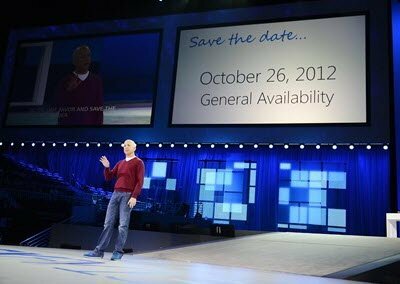 Microsoft today announced the General Availability date of Windows 8. Steven Sinofsky, while speaking at Microsoft’s Annual Sales Meeting said that consumers will be able to buy the new operating system starting October 26th 2012. Earlier, there were signs from Microsoft that Windows 8 would be generally available on the store shelves in October, but with this announcement, the exact date is now clear. While it has not been mentioned, as to when the Surface tablets would be made available, it is expected that they too would be available for purchase from the same day – or very soon thereafter. These tablets will be available in two models – Surface RT and Surface 8 Pro. You can see the comparison here. Do note that Windows 8 will be available as an upgrade or on a new PC only. Thanks for the quick post Vasudev.